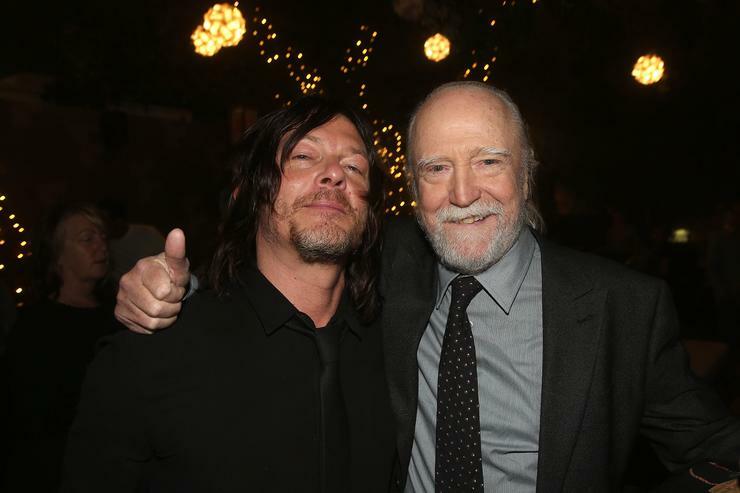 Veteran actor Scott Wilson has passed away today (October 6) at the age of 76. Wilson reemerged in the public eye in the last decade with his role as Hershel Greene in the AMC series The Walking Dead. Hershel was a farm owner that took in Rick and his group of wanderers in the second season of the show. His on-screen daughter Maggie met Glenn during that time, spawning a relationship that lasted for several seasons. Hershel was killed off in the show's fourth season by the Governor. "We are deeply saddened to report that Scott Wilson, the incredible actor who played Hershel on #TheWalkingDead, has passed away at the age of 76," tweeted The Walking Dead's official page. "Our thoughts are with his family and friends. Rest in paradise, Scott. We love you!" Wilson's acting career began in 1967 with the film In the Heat of the Night. His most famous role though may be in 1980's The Ninth Configuration. In the movie, Wilson played a former astronaut who is placed in an insane asylum. He received a Golden Globe nomination for his role in the film. He also played the role of Jay Gatsby's killer in the 1978 Robert Redford starring The Great Gatsby. The cause of his death has not been revealed.